In search of fame and fortune, Portuguese explorer Ferdinand Magellan (1480-1521) set out from Spain in 1519 with a fleet of five ships to discover a western sea route to the Spice Islands. En route he discovered what is now known as the Strait of Magellan and became the first European to cross the Pacific Ocean. The voyage was long and dangerous, and only one ship returned home three years later. Although it was laden with valuable spices from the East, only 18 of the fleet’s original crew of 270 returned with the ship. Magellan himself was killed in battle on the voyage, but his ambitious expedition proved that the globe could be circled by sea and that the world was much larger than had previously been imagined. 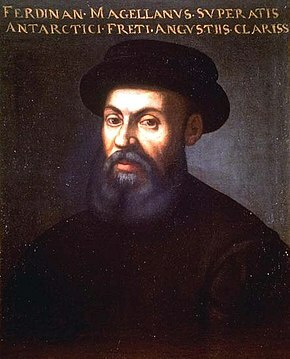 Ferdinand Magellan was born in the Portuguese region Douro Valley, Sabrosa. In terms of landscape, Douro Valley and the Philippines have quite a few similarities when it comes to the wide range of tea fields in South-East Asia, as well as to the endless wine yards in this small Portuguese area. Considering the year 2019 as the opening of the 3 years anniversary of Ferdinand Magellans expedition, a seminar will be hold in Douro Valley to learn about the connection between Portugal and South-East Asia in a colonial context from a scientific perspective. The Kick-Off will be in July 2018 with a small group of students from the Social Sciences in Douro Valley, organized by the NGO AIA-Seas, in partnership with the Institute of Orient from ISCSP-University of Lisbon and the University of Vienna, Institute for Sociocultural Anthropology. The excursion takes place from 5th of July 2018 (arrival) to the 8th of July 2018 (Departure). The international participants are picked up by the team of AIA-Seas from the airport and then it goes straight to the north, the area of Douro Valley. During the day, excursions will take place in the surrounded area (walks, boat trip across the river, waterfalls, ..). Discussions about the relations between Portugal and South East Asia will be hold on an interdisciplinary level. There will be professors from several disciplines of the Social Sciences who will bring their perspective into the intercultural aspects. All this happens on a level of `Learning By Traveling`, in the sense of a participant observation learning process. You chat, exchange ideas, drink some Portuguese wine, and after a long day of activity dinner will be hold in surrounded traditional taverns/farms. Linguistically, everything will be based on English. It is more a togetherness than a strictly institutionalized program. The goal is the exchange and collection of ideas, as well as a better understanding of past and present transnational connections between Portugal and South East Asia, as well as an inter- and transcultural experience. “Política e Cultura na Imprensa Periódica Colonial”- Congresso a decorrer em Lisboa entre os dias 22 e 25 de Maio de 2017 na FCSH-UNL, na FL-UL, no ISCTE-IUL e na Biblioteca Nacional de Portugal.